The 1LT Mark Dooley 5K Race is a living tribute to a fallen hero, 1LT Mark H. Dooley. The upcoming event will be held on Saturday, September 15, 2018. Mark Dooley was a Norwich University graduate, a Wilmington police officer, and Vermont Army National Guard soldier, who was killed in action on 09.19.2005, while deployed to Ramadi, Iraq. Mark was 27 years old. PLEASE ARRIVE BETWEEN 7:30-8:45AM TO REGISTER/CHECK-IN. WE WILL BE HOLDING A BRIEF CEREMONY HONORING 1LT MARK DOOLEY. DONT MISS IT! 5K Walk & Run: Custom medals for the top 3 finishers of each age group, and custom trophies for overall top finishers of the walk and run (male & female). Proceeds of the event benefit the 1LT Mark Dooley Memorial/Scholarship Fund. The 1LT Dooley fund was established by Dooley's friends at the Wilmington Police Department. Please visit the event website at www.markdooley5k.com as we get closer to race day - and check for updates and changes. 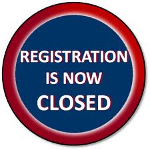 All changes will be posted to the website and emailed to registrants. Additional shirts will be available for purchase at the race - while supplies last.